Kandesn® skin care products cleanse, hydrate, and balance the skin to impart a natural, healthy glow. Specially formulated with Sunrider’s choice ingredients and owner expertise, Kandesn® makes luxurious, premium-quality skin care affordable for everyone. The Kandesn® Gentle Skin Care Set contains carefully selected products designed to soothe skin sensitivities. Each product performs effectively yet gently, allowing the user to enjoy the benefits without irritation or discomfort. With continued use, skin not only looks, but feels, calm, refreshed, and healthy. The Kandesn® Gentle Skin Care Set contains: Kandesn® Cleansing Cream, Kandesn® Gentle Cleanser, Kandesn® Astringent, and Kandesn® Deep Moisture Lotion. Your hair will really thank you for using this new spray. It’s easy to use and conveniently sized, so you can carry it everywhere: in your pocket, purse or gym bag. You don’t have to worry about blow drying your hair and leaving split ends. 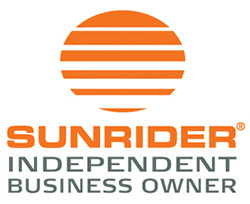 This Sunrider® spray is moist but not greasy. 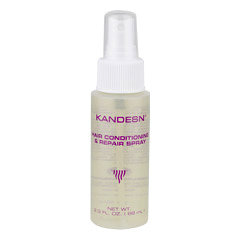 Kandesn® Hair Conditioning & Repair Spray eases detangling and improves wet combing. It makes hair feel thicker by providing volume and body, and even protects hair from sun damage. Also, it protects hair from damage that can result from blow-drying or other thermal and mechanical styling. The advanced formulation enhances gloss and manageability, helps repair damaged hair and prevents split ends. On wet hair, after you shampoo and condition with Oi-Lin® Shampoo and Oi-Lin® Conditioner or Kandesn® Shampoo and Kandesn® Conditioner (depending on your preference), use Hair Conditioning & Repair Spray before brushing, combing and styling. Leave on: do not rinse out. Kandesn® Hand & Body Lotion hydrates and moisturizes dry skin naturally. Sunrider knows you’ll feel the difference the moment this herbal-scented lotion touches your skin. We designed this superior lotion to work in harmony with the body’s natural pH balance. The herbal formulation contains antioxidants to provide intense moisturization. Natural ingredients are selected to work with the body’s own chemistry. Smooth Kandesn® Hand & Body Lotion over entire body after bath and as needed to moisturize dry areas. Like no ordinary soap you’ve used, Oi-Lin® Liquid Soap is perfect for the sink or shower. It moisturizes while it cleanses the hands and entire body. This gentle and advanced formula is ideal for all skin types and especially on sensitive and dry skin. It leaves your skin feeling soft and smooth. Place a small amount of liquid soap into palm. Bring to a lather with water and massage over skin. Thoroughly rinse off with water. How many times have you wanted to wash your hands but couldn’t, because there wasn’t any water around? You’ll never have that problem again, as long as you carry Kandesn® Hand Cleansing Gel with you. Take it with you everywhere. Parents of young children with sticky fingers will breathe a sigh of relief! Kandesn® Hand Cleansing Gel provides convenient, waterless cleansing. It evaporates quickly. Because of Sunrider’s special formula, it cleanses and moisturizes at the same time, so your hands don’t feel dry. In fact, it prevents the chapped feeling produced by other brands. Your hands will retain a pleasant, refreshing scent. Apply a small amount to hands and rub in evenly. 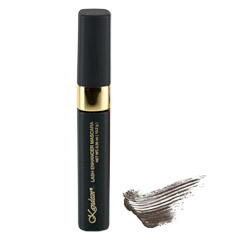 Revolutionize your lashes with Kandesn® Lash Enhancer Mascara! Highly defined lashes are the season’s hot look, so stylishly emphasize yours with Kandesn® Lash Enhancer Mascara. 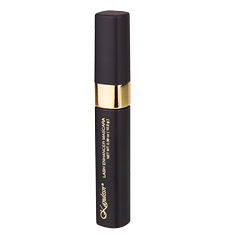 Our Sunrider Mascara is moisture-enriched and extra long lasting. It contains soy protein to help strengthen and achieve the appearance of longer lashes. In addition, the special formulation does not irritate the eyes, a common problem with mascara usage. Apply first to lower lashes, then to tips of upper lashes. Allow to dry slightly. Apply to entire upper lashes. Generate shine that’s so smooth, you just have to smile. You’ll create quite a stir with this attention-getting gloss. Kandesn® Lip Gloss contains Vitamins E and C for superior antioxidant moisturization and to act as a natural preservative. We use only high-quality ingredients, so you can rest assured you are not ingesting harmful ingredients. Our Lip Gloss provides smooth, long-lasting shine and it smells delicious. Use as lipstick or apply over lipstick for added shine. 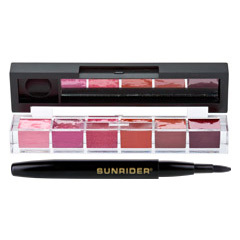 Generate shine that’s so smooth, you’ll have a sweet Sunrider smile. You’ll create quite a stir with this attention-getting gloss. 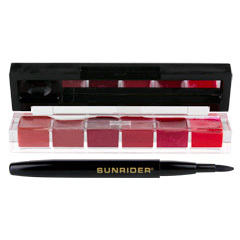 Sunrider’s Kandesn® Lip Gloss contains Vitamins E and C for superior antioxidant moisturization and to act as a natural preservative.